eLearning 101 Part 5: Evaluating. Evaluation of your course is essential but often under used. Evaluation of your course is essential but often under used. 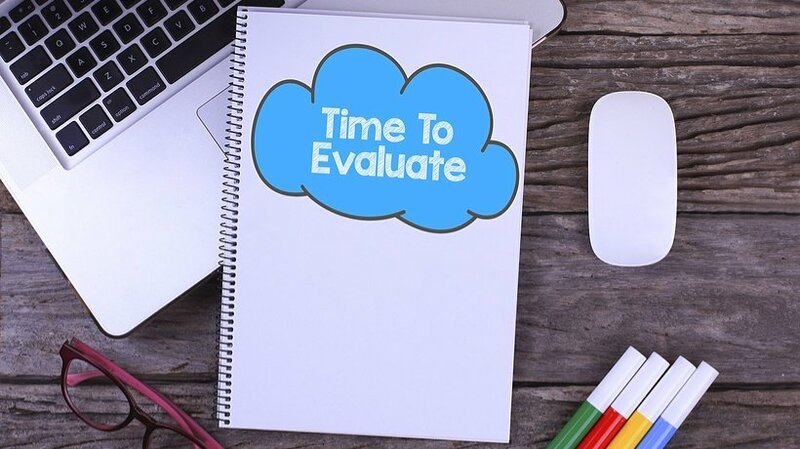 Evaluators should assess student performance, determine program and cost effectiveness, monitor quality to include technology and support services, evaluate course design and instruction, and ascertain employer and student satisfaction. Higher-level evaluations cost more but also tell more in the long run. Things to consider before you get started on evaluating a course: What is the purpose of your eLearning courses? Do you want the learner to retain and apply information to the job? What is your return of investment? Is what the learner applying relevant and effective? Aim for credibility not just accuracy, document business results, and gather data from those who should know! Also take into consideration that evaluating the course does not just happen after the fact. Evaluation should take place before, during and after the development of an online course. Reaction: Did learners like the training? Did they complete it? Learning: How much is job performance improved, what could learners apply? Performing: What skills and knowledge did learners acquire? Results: How well did the organization meet its business goals? The reaction of the learners assists with recognizing and defusing potential frustration of learners and identifying unmotivated learners. You can track these reactions by using a Learning Management System (LMS) or special tracking software. What specific facts and skills has the participant learned that can be applied to the job? How do you rate that concepts have been learned and are being applied at work? Did the training reach its original business and organizational goals? What is the rate of return of money invested in learning? The organization has to determine what is the single most important measure of success. When that is determined then the training can be applied to toward that end. What is the value of that change? How confident are you in the estimate? Consider Lost Opportunity Costs: for example: the time it takes to go to an instructor-led training vs. time it takes for online course. Overall lowered cost (cuts travel expenses, reduces the time it takes to train people and eliminates or reduces need for classroom training).